The largest opportunity to influence agricultural policy is at the provincial level – where agricultural policy is regulated. Government and ministerial staff want to engage with a single representative for organic issues with a cohesive voice. 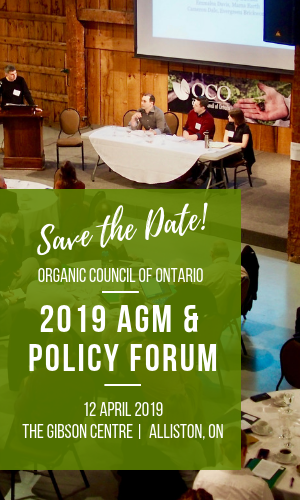 We have the knowledge, skills and patience necessary to advocate for organic on behalf of Ontario’s organic enthusiasts and industry.Policy work and working to provide input to policy directions is where the foundations of our food system find their footing, therefore, strong policies that support sustainable practices and encourage organic production are necessary. Facilitates direct conversations between policy makers and Ontario’s organic producers. If you have an issue which you feel needs attention, do not hesitate to contact us.